From the outset, the season seems done and dusted and the trend of City dominating the league could continue in the future if other teams don’t figure out a way to break through Guardiola’s tactical masterstrokes. 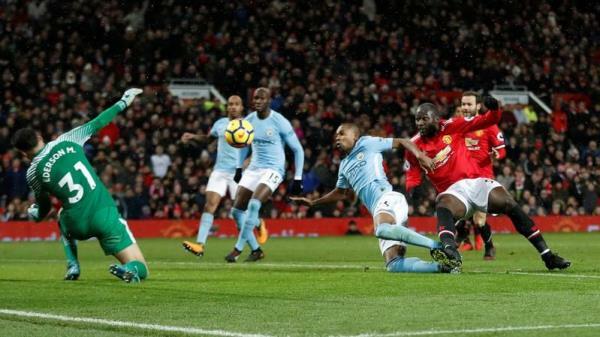 The latest edition of the historic Manchester Derby at Old Trafford gave the home side a chance to breathe new life into Premier League’s title race but their City rivals proved unstoppable once again. On Sunday, Manchester United did not just hand over bragging rights to the Blues, but also seemingly lost any chance of regaining the title, which has eluded them since 2012-13. Pep Guardiola once again had the upper hand over his nemesis, Jose Mourinho, despite his side not being at their scintillating best. When I first had a look at Manchester United’s playing XI, I was pleasantly surprised to see the line-up Mourinho fielded. With the players available, he should have gone in with a high pressing and offensive game plan but instead, his team resorted to long balls and counter-attacking style with the absence of any substantial cohesive press. One of the major talking points before the match was the impact of Paul Pogba’s absence and the difference was clearly felt during the match. The home side looked disjointed in going forward and lacked his leadership skills in midfield, which are a pivotal factor in United’s attacking tactics, especially in this season. Romelu Lukaku may have ended up with two assists, but unfortunately, on the wrong side of the pitch, much to the disappointment of the home crowd. One may criticise his movement and positioning throughout the match, but United fans should hold their horses rather than jumping to conclusions even before the halfway stage of the season. Mourinho: Wtf are you doing, assisting Man City twice? Lukaku's second touch in the Penalty area has resulted in a goal for Otamendi. Can't be too hard on Lukaku today. He tried to clear that ball leading to City's 2nd goal. And he didn't miss that chance; Ederson made a monster save. Bad spell. He'll come out of it. For the majority of the game, the middle of the park was constantly dominated by the visitors, aided by the criminal mistake of giving too much space to work with to both Kevin De Bruyne and David Silva. Had City been better with their decision-making in the final third, things could have been a lot worse for Mourinho’s men. Despite being in the ascendancy for this game, by no means was this City’s best as they strayed away from the fundamentals that usually makes them such an entertaining side to watch. A team which focuses on short intricate passing was guilty of not being proficient with the ball, despite having more possession. All the goals during the game were down to defensive howlers rather than offensive quality. This is probably one of the reasons why David De Gea was not called into action to make those heroic saves we see so often. 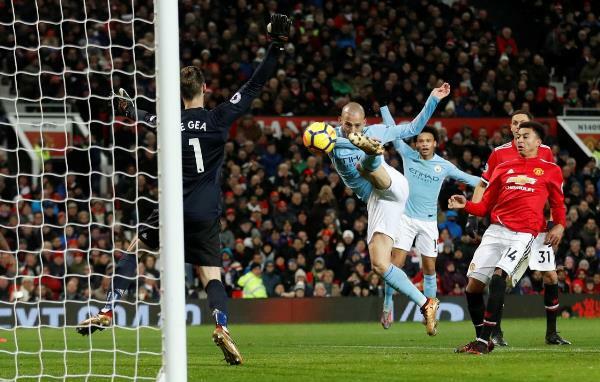 However, he would have been impressed by the double save from Ederson Santana de Moraes to deny United a point in the final few moments of the match. With the kind of quality on both sides, it was reasonable to expect a fascinating battle on the field, but this was not the case. The home side would have been better off had they approached the game in accordance with their historic attacking traditions rather than getting 10 men behind the ball inside their own half. The way City dominated United, it must have been embarrassing for Mourinho, and no wonder he was asking for respect in the alleged post-match dressing room brawl. There are rumours that Lukaku was involved in a tunnel bust up against Man City last night. He tried to kick Pep twice but ended up kicking Jose twice instead. Raucous post-match celebrations by opponents must not be a new thing for Mourinho as such occurrences took place during his time at Stamford Bridge as well. This leads us to believe that this was more a case of him being furious over getting his tactical philosophy shredded by the Catalan in the opposing corner. Nevertheless, it adds more fuel to the away-Derby that will be held at the Etihad Stadium in a few months time. Even after the dressing room bust-up, Mourinho had enough left in him to lay into match referee Michael Olivier in his post-match conference. The Portuguese felt sorry and criticised the way he officiated the match but logically speaking, one can only feel sorry for the tactics deployed by Mourinho for this particular encounter. Manchester United are highly likely to come second best in this year’s Premier League but it does give Mourinho a chance to shift his energies to the UEFA Champions League, where he already boasts a pretty decent record with other clubs. Mourinho’s sides have a habit of nicking out matches when it comes to knockout stages of the European competition and he would be eager to take the Red Devils deep into the tournament. But what about the other teams in the league? Defending champions Chelsea are already 14 points off the pace, mostly due to lack of squad depth, which has clearly hampered their progress this season. Mauricio Pochettino’s Spurs have been impressive on the European front and should fancy their chances of finishing inside the top four in the league as well. Arsenal and Liverpool have done well in patches this season but their defensive vulnerabilities have not helped in stringing a few good results together. As of now, the Red Devils are well placed to finish second on the table but by the time we reach the back end of the season, it is more likely to be a three-horse race between Tottenham, Chelsea and Manchester United for the second spot on the table. Inconsistency is a major factor for other teams which make up the top six clubs of English football. and it won’t be surprising if City stretch their lead at the top even further. An 11-point gap before the Christmas break speaks volumes about the kind of form the Citizens have been in, but it is safe to say that their performance level has taken a dip in the past few games. Although it is hard to see City lose four or five games and in the league from here onward, they must improve in order to avoid going into a slump. 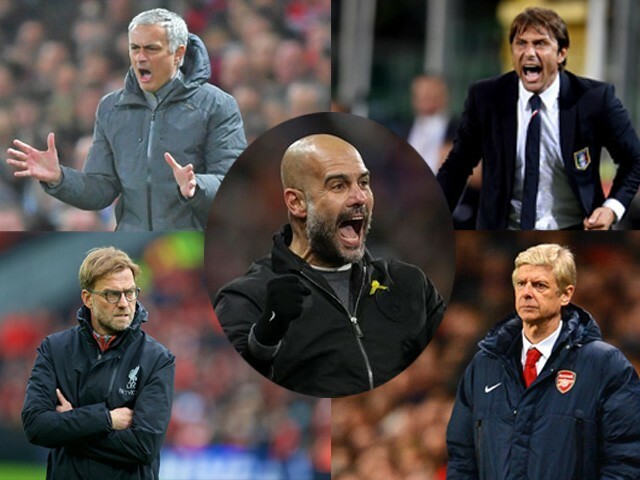 From the outset, the season seems done and dusted and the trend of City dominating the league could continue in the future, if other teams don’t figure out a way to break through Guardiola’s tactical masterstrokes.